Here’s a group of people you probably haven’t thought about much: Greek immigrants living in Australia. Compared to people born in Australia, immigrants from Greece have 2-3 times the rate of obesity, diabetes, high cholesterol, hypertension, smoking, and a sedentary lifestyle. By all accounts, they should be dropping like flies. But their risk of cardiovascular mortality is 35% lower than the typical Australian person’s. Why? This study looked at some potential answers. One possibility is their habit of taking a siesta in the middle of the day – sleep is powerful, and the Greek immigrants might just be getting more sleep. They also spend regular time outside, which could be netting them some extra Vitamin D.
Or the answer might lie in their gut bacteria. The study noted that many of the Greek immigrants kept eating a lot of their traditional, vegetable-based dishes. A lot of them had their own vegetable gardens, especially after they retired. That makes for a diet much higher in anti-inflammatory polyphenols and fiber, both of which help maintain a healthy population of gut bacteria. And it’s not actually crazy to think that better gut health might improve heart health. Here’s a look at the growing pile of evidence that heart health starts in the gut. Numbers like blood pressure and total cholesterol are really proxy measures of cardiovascular health, but they’re still useful. Here’s a look at how gut health can affect them. Humans with high blood pressure have lower bacterial diversity in the gut. They also have a different ratio between two important families of bacteria. This review explains several different ways that bacteria in the gut can affect blood pressure. As they ferment carbohydrates, some of the beneficial bacteria in the gut release peptides that reduce blood pressure. 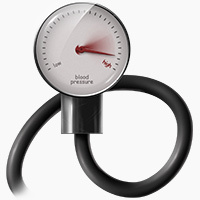 Short-chain fatty acids produced as a byproduct of fermentation can also lower blood pressure. Gut bacteria can also increase the absorption of important nutrients for regulating blood pressure, like calcium. Other research has suggested that probiotics are helpful for lowering blood pressure: improving gut health improves cardiovascular health. Remember that paper from a year or so back, where red meat supposedly caused heart disease by increasing levels of TMAO in the blood? Everyone was very quick to point out the obvious rebuttal: fish also increases TMAO levels, but fish isn’t associated with heart disease, so it doesn’t make sense to blame the TMAO. But there’s also another problem with the idea that red meat causes heart disease by increasing TMAO: how much TMAO you produce in response to any given food depends on your gut bacteria. This review went over some interesting evidence that red meat can only increase TMAO levels if your gut is set up to make it happen. To take one dramatic example, this study compared two different groups of mice with different gut bacteria, and identified a clear distinction between high-TMAO producers and low-TMAO producers. Then they took the gut bacteria from high-TMAO producing mice, and transplanted them into a mice with no gut bacteria of their own. The recipient mice immediately started producing more TMAO. This shows that the gut bacteria are a critical link between red meat and TMAO production. Granted that there are a few questions about this line of research (e.g. there’s some evidence that TMAO is different in mice and in humans), but if there’s anything to it, it’s likely a diet + gut biome issue, not a pure diet issue. There are two big schools of Paleo thought on cholesterol: either it’s totally insignificant and unimportant, or it is significant, but only as a “red flag” for other problems (so the cholesterol itself isn’t the real problem; it’s just the messenger). If you’re in the first group, then any arguments about cholesterol probably mean very little to you. But if you’re in the second group, you might be interested in this meta-analysis showing that probiotic supplements reliably reduce LDL cholesterol levels in patients with both high and normal cholesterol. In fact, there’s a specific blend just for that. If we’re taking cholesterol, and especially LDL cholesterol, as a sign of cardiovascular risk, that’s good news. There are a couple different proposed mechanisms for this. For example, gut bacteria control the breakdown of bile acids in the gut. The more bile acids you break down, the more raw materials you need to replace them. Those raw materials come from breaking down cholesterol. So if you have a lot of species of bacteria that break down bile acids, you’ll also end up breaking down a lot of cholesterol to replace those bile acids. There’s also evidence that poor gut health directly causes injury to the cardiovascular system, and that improving gut health can improve cardiovascular health. Gut health can directly affect the health of your blood vessels. Inflammation in the gut is very bad news: patients with Inflammatory Bowel Disease (Crohn’s Disease and Ulcerative Colitis) are at a higher risk for plaque formation and cardiovascular events. This study suggests that the connection is inflammation: the inflammatory/immune response in IBD injures blood vessels and starts off the process of heart disease. Other research suggests that off-kilter gut hormones can also damage the blood vessels, particularly in diabetes. Damage to the blood vessels, technically called endothelial dysfunction is an important early stage in cardiovascular disease, and it seems to be caused at least partly by gut problems. The probiotic bacteria in yogurt may have benefits for your heart. effect on the heart. For example, this study describes how bacteria in the Lactobacillus family (those are the ones in yogurt and other fermented dairy foods) may produce a protein with a direct protective effect on the heart. And in this study, a probiotic protected rats against heart attacks and reduced the susceptibility of their heart tissue to injury through a complicated mechanism that actually had to do with the hormone leptin. What about recovery after a heart attack? This study found that giving rats a probiotic after a simulated heart attack slowed the progression of heart failure and helped maintain cardiac function. Unfortunately, the kind of long-term human studies that would really prove the theory haven’t yet been done. Hopefully they’ll start showing up as the gut-heart connection gets more attention! The Paleo world is full of general advice for overall good gut health – you can start here, if you’re interested. But what do we know about modifying gut health for cardiovascular health specifically? 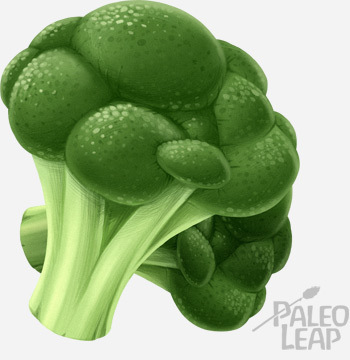 Fiber-rich vegetables aren’t restricted to vegans! and vegetables. This study looked at ways to modify the gut environment for the best cardiovascular health. It started off by praising vegetarian and vegan diets, but ended up unintentionally praising Paleo-style diets. Basically, the “magic ingredient” in vegetarian diets was fiber-rich fruits and vegetables, which supply a lot of food for the gut bacteria. But vegetarians don’t have any monopoly on eating fruits and vegetables, and lots of “roughage” has always been part of the Paleo recommendation for people who can tolerate it. Cardioviva, for reducing cholesterol. (Here’s a study on it). Available in drugstores. Good Belly, for (in rats) improving recovery after a heart attack. (From this study). Available in grocery stores and health-food stores. 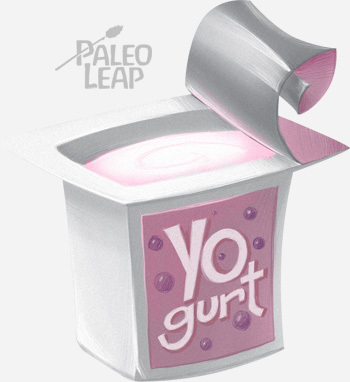 (If you tolerate dairy) Yogurt and other fermented diary. One study above found that bacteria in fermented dairy products specifically may be helpful, and full-fat dairy products may also be heart-healthy in different ways. It’s becoming increasingly clear that the gut has an important role to play in heart health. Inflammation in the gut and problems with the bacteria that live there can be dangerous to the cardiovascular system, but a healthy population of gut bacteria with low levels of inflammation can help maintain good heart health. Fiber and some probiotics may be particularly good for improving cardiovascular health via gut health.